The first time I saw Mac DeMarco I was on a heavy dose of cold medicine and I ended up sweating out my fever. There were 19 other people there and at one point, DeMarco put down his guitar and slow danced with my friend Rusty. After the show, Rusty and I bought DeMarco drinks and sat and talked to him for over an hour. The second time I saw Mac DeMarco, at the same Washington, DC club, there were 199 other people there. Two of them were thrown out for smoking cigarettes on stage with Mac and at one point, DeMarco put down his guitar, crowd surfed and hung from the exposed ceiling from his knees. Next week I have a ticket to see him with 1,499 other people at New York City’s Webster Hall. I have no idea what will happen there. I just know that I won’t forget it. 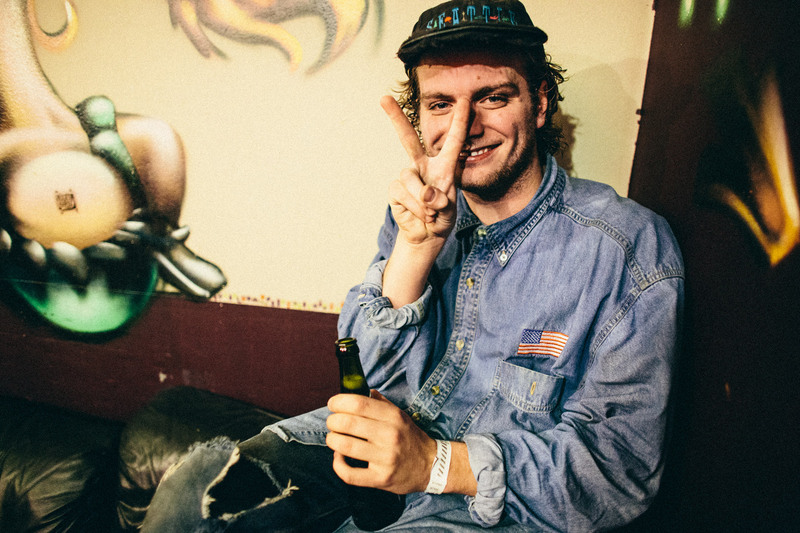 It’s hard for me to talk about Mac DeMarco records without reminiscing about his live shows. 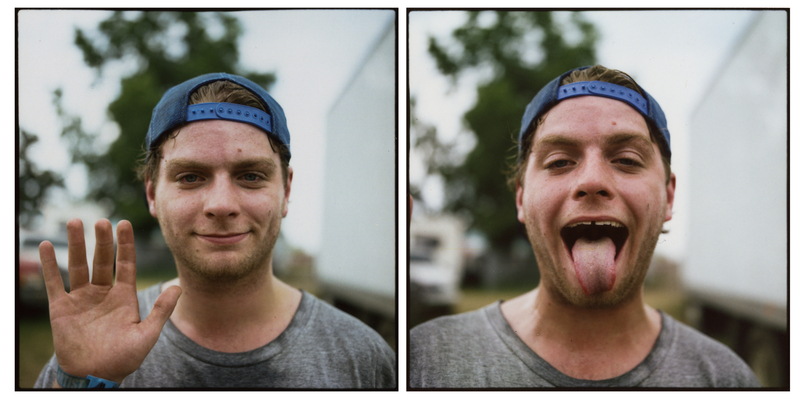 DeMarco is known for making goofy faces as much as he’s known for making his eclectic electric sound. Between the villainous deejay voices on his debut Rock And Roll Night Club EP, the noodling jazz guitar on his debut record, 2, (both out in 2012) and the drag he’ll dress up in for his videos, DeMarco is his own caricature. Salad Days is his third record for Brooklyn’s Captured Tracks. It’s out today. With a run time of just thirty-four minutes it’s DeMarco’s longest release yet. Salad Days is near “yacht rock” or “slacker rock” but I’ve always told people that he writes pop songs with the flair of flawless, unique guitar solos. I’d call him perfect but he hates the label. So instead, I’ll tell you his music sounds unlike anything else being released today. And for me, that’s enough. That’s always enough. Mac DeMarco’s composition is so simple: glazed guitars echoed over choruses and bridges while every track is laced with his whines, moans and crooning. The bass is fine tuned, never too prominent but never boring. The drums are tight but never basic. DeMarco is excellent and wacky. He’s eccentric and memorable. In February, DeMarco teased an “extremely offensive” project he’s working on with Tyler, The Creator and I can’t wait. I can’t wait to see him again soon. ← St. Vincent Had Me At “I Took You Off Your Leash”. I’m Obsessed With Annie Clark.